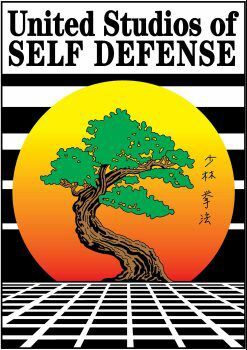 United Studios of Self Defense teaches Shaolin Kenpo, a mixture of Karate, Kung Fu, and Ju Jitsu. What makes United Studios of Self Defense unique from other programs is that we tailor our program to fit the needs of the individual student instead of molding the student to fit the art. So whether your a beginner or experienced martial artist, whether you have physical limitations or are a professional athlete, or you're simply one of the many people looking for something fun, challenging, and rewarding, we have a program for you! Believing in yourself starts early! At United Studios of Self Defense, we work hard to make your child's first experience with the Martial Arts a safe and productive one. Young people must have personal goals and a caring support system to make their dreams a reality. We will help your child become a strong and productive member of society armed with character, strong self-discipline and a healthy self-image. Equipped with these positive attributes, your child will have the inner strength needed to avoid the many temptations children face today. Strong people are the cornerstone of a strong society and nation. Your child's present and future success and happiness, is important to all United Studios' Instructors. We place a special emphasis on the mental attributes of concentration, patience and self-control as we explore the physical principles of balance, timing and perfecting Martial Arts technique. With a goal of successful practice and application in mind, each class consists of effective self defense training and drills, plus various exercise and stretching routines. These videos are meant to illustrate principles of the kenpo style, and not for the purpose of instruction.